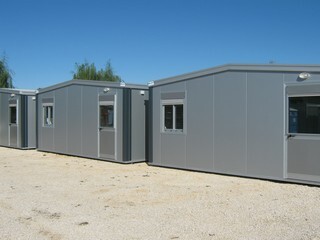 Prefabricated offices into our wide range we have ground floor and multi storey solutions. 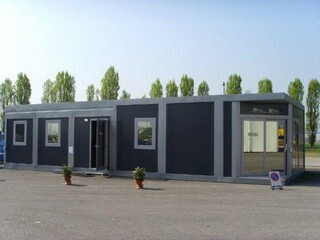 Our company is well experienced even more into projects and developing of customized prefabricated offices as concerns MODEL,DIMENSIONS, OUTER and INNER INISHINGS, DESIGN and any KIND OF COMFORT, TECHNICAL LAYOUT, etc. 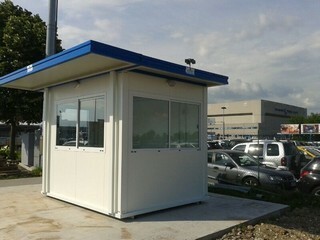 We have realized and we are able to manufacture any kind of prefabricated offices into different materials , any kind of options, electrical wiring, WI-FI , AIR CONDITIONING AND HEATER SYSTEMS for different rooms either in case of GROUND FLOOR UNIT and either in case of MULTI STOREY UNIT. 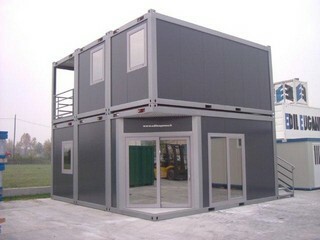 Below some pictures regarding our prefabricated office modular buildings , a short reportage showing some cheaper and flexible solutions until to some solutions more important if we look the high quality comfort, some manufacturing details, the different design , the glass surfaces , the wall panels, the roof panels, etc.